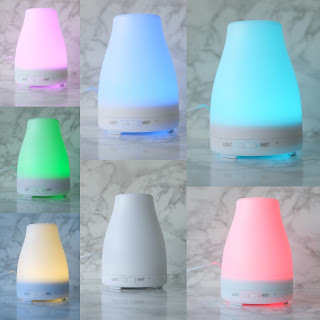 I have been looking for a diffuser for several months now but I never knew which one to buy. I was very happy to be able to receive a discount code to try out. All reviews are my own opinion. Mijoyee 100ml Essential Oil Diffuser with 7 Color LED Lights Changing and Auto Shut-off Function; Aroma Cool Mist Humidifier for Home Office and Bedroom. This particular one offers two settings. The first setting is to set the diffuser to disfuse the mist for intermittent 30 sec on/off. In this setting I filled the water at the 100ml line it lasted just shy of 4 hours and it auto shut off. The second setting is a continuous spray of mist and at the 100ml water level it lasted just shy of 2 hours. 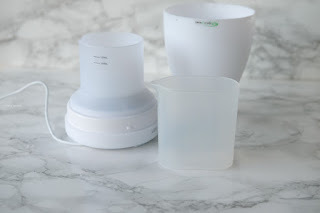 There are two water levels 100ml and 120ml and it is clearly marked & comes with a water cup. If you think about it that is not a lot of water but it sure lasts. The mist is cool and pleasant when combined with a few drops of your favorite essential oil. The lid was difficult at first but after playing with it and learning where to line it up, it was easier to use. A few more features I enjoy of this diffuser is the option to turn on a light. On the first setting you can change it to one of the several colors. The colors are very calming and relaxing to view. On the second setting the colors continuously change but in a slow and subtle way. 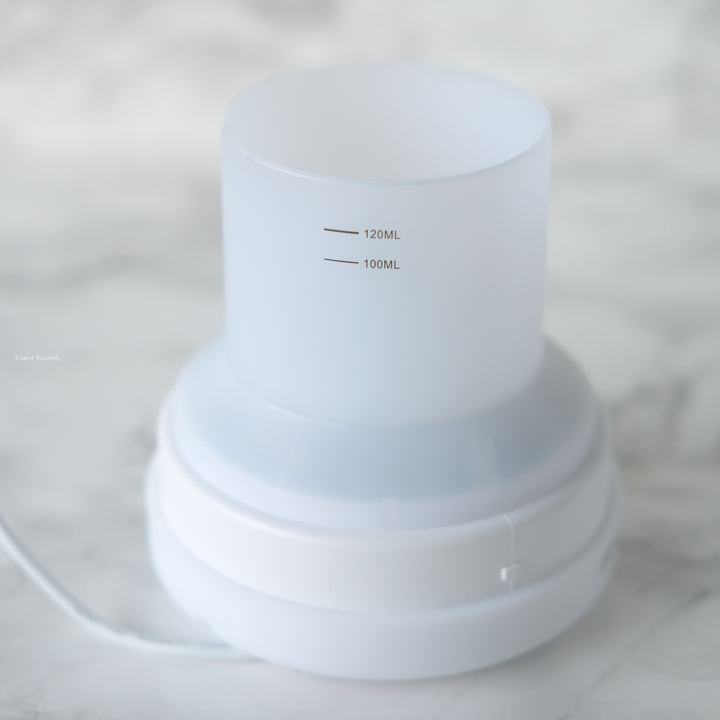 I also love that this diffuser is small,doesn't take up much space and it plugs into the wall. The auto shutdown is another great safety feature. 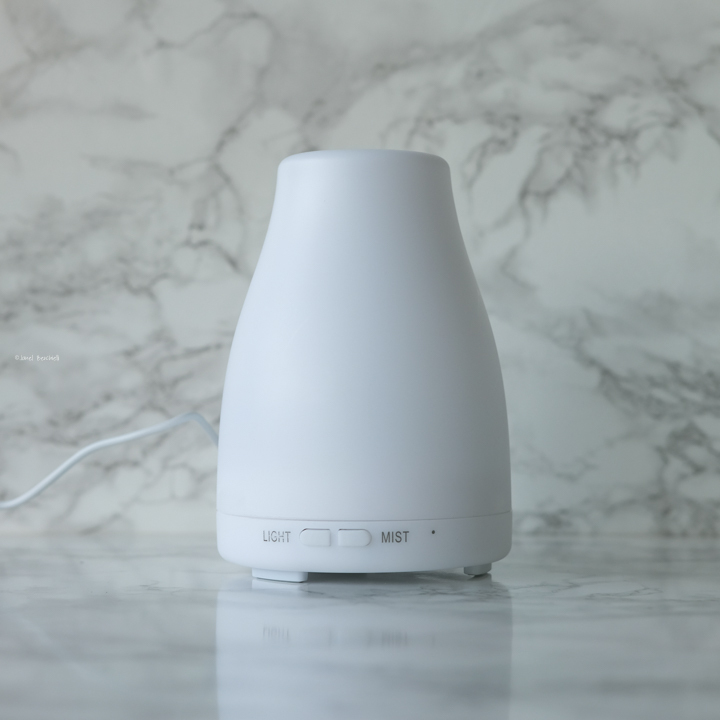 I will now be diffusing my essential oils everyday in my home! What is your favorite essential oil or oil blend?